Kivah is a singer, ex-model and a serial entrepreneur. At the age of 15 she was the co-founder and lead singer of a Brit Pop band called “The New Flesh” based in Mallorca. When “The New Flesh” disbanded she formed a new band called “The Innocents”. After a year of gigging, Kivah decided to move to Madrid to start her solo music and modelling career. She has recorded a number of jingles for radio, television and cinema in Spain as well as chill-out music albums distributed by Café del Mar (Ibiza Music & Clothes) , Space Café (Space of Sound), Dôme Ibiza and recorded 2 tracks for the album” Cinema Lounge” . This album includes her chill out version of “Now We are Free” the soundtrack for the “Gladiator” and “Beached” from “The Beach” film. She is also featured in two albums “Neibum” and “Urban Woman .01” by the renowned DJ and producer Luis Junior. She was a member of “The Gospel Living Water” choir for a while to experience different styles of singing. 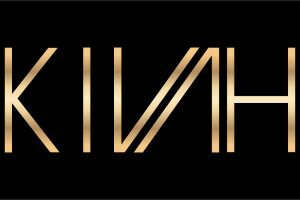 Kivah’s worked with various producers in Spain and the UK and she has shot music videos for some of her songs. She stopped her music career to dedicate herself to her businesses but now she’s back!